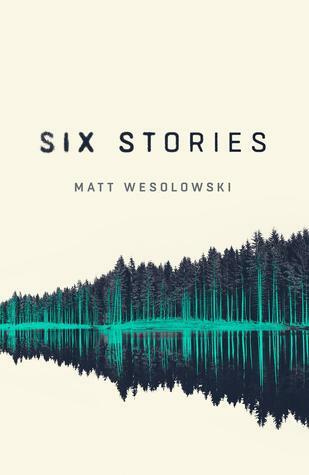 The Very Pink Notebook is thrilled to be part of the blog tour for the new book by Matt Wesolowski, Six Stories. With thanks to Karen Sullivan at Orenda Books for involving me in the tour and for an early copy of the book. In a series of six interviews, King attempts to work out how the dynamics of a group of idle teenagers conspired with the sinister legends surrounding the fell to result in Jeffries' mysterious death. And who's to blame… As every interview unveils a new revelation, you'll be forced to work out for yourself how Tom Jeffries died, and who is telling the truth. A chilling, unpredictable and startling thriller, Six Stories is also a classic murder mystery with a modern twist, and a devastating ending. The first thing that caught my eye with this book was the artwork. At first glance I thought I was looking at the scratchings of an audio recording, but on closer inspection it transpires to be a wide angle shot of very tall trees and their reflection, but this is all very deliberate and once you read this book you discover why. Just from the blurb the setting, Scarclaw Fell, made my skin crawl. The author instantly creates such a chilling atmosphere I actually felt physically cold while I was tucked up under my duvet reading. The great outdoors of the Fell - it's brooding darkness and wildness, it temperamental and ever-changing mood is the perfect environmental setting. For me, the place entirely matched the themes of this book. The body of a teenage boy, Tom Jefferies, is discovered a year after he went missing on a trip to Scarclaw Fell. What follows is a case of discovery, but in a fairly unique way. The reader is not taken on the journey via the police investigation, which by the time we enter the story is already done and dusted. It is not the story of Tom's family trying to find out what happened to their son. It is not a journalist, the story and its potential sensation has already been put to bed. Instead it is a pod-caster, Scott King, who just enjoys pulling together information of mysterious events of cases that have been closed. What the reader is then presented with are the facts of the night - through the eyes of people involved and or close to the deceased. Meaning - extremely unreliable narration - which is the for the reader, or listener should I say, to decide how much is accurate when almost everyone closely involved had an agenda and at the time was an angst ridden teenager. But don't get me wrong this isn't one of those frustrating novels that you can't find an anchor point to cling on to because we have the neutral insight of Scott King himself. The voice of King summarises the facts giving opinions from both sides of the coin, always leaving the reader / listener to draw their own conclusion. The unusual penmanship of the novel with its original structure and style, I didn't know if I would get on with at first. 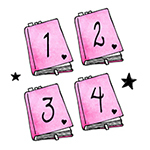 Could I read a book in the style of a script of a pod-cast? Would it get annoying? The answer no, I quickly realised it didn't matter. What you have is a really good story, told really well. With the multiple viewpoints the script is kept varied and pacey even though it is the same story told by six different voices and always moving the plot forward. I enjoyed the summary sections at the beginning and the end of each pod-cast by King and being taken to the present day with Scarclaw Fells owner and body finder Harry. For me this novel reminded me of The Blair Witch project, where things not happening and dark issues being alluded to but not shown in graphic detail are actually more frightening than anything else. I loved the ending of this novel and felt it stayed true to the author's intent. Six stories is a distressing tale looking at extreme ends of teenage group dynamics and parenting issues to name but a few of the things it touches on, whilst telling the story of what happened to Tom Jefferies on that fateful night in 1996.